As the winter months are beginning to approach, there will be less time for your child to play outdoors, and more time for your little one to spend indoors. If your youngster loves the outdoors, they may be saddened by the changing of the seasons if they have nothing in their home to stimulate their imagination. However, when provided with the proper tools at their disposal, your child may find that there are plenty of exciting indoor activities that he or she can take part in. That’s why we will be talking about some of the easiest and most fun indoor activities for your child that will challenge their brain while expanding their creative processes. At Valley Learning Centers, we pride ourselves in providing children with the environment they need to grow and flourish into unique individuals. With a number of activities like reading and singalong sessions, as well as stress-free playtime, we give children the creative space they need to develop their social and cognitive processes amongst their peers. We believe in teaching your little one in the safest and most secure setting, which is why we have a stringent screening and hiring process for all of our employees. If you are looking for a handful of fun indoor activities for your child to take part in during the winter months, read a few of Valley Learning Center’s top suggestions listed below! One of the most fun activities that children love is the act of finger painting. This exciting experience gives children a chance to explore how colors interact with each other while being able to express themselves in ways that words never could. Painting is an artform that requires constant thought and attention to detail, which can play a critical role in your child practicing mindfulness while remaining in the present moment. Not only is finger painting a great form of expression, it can also help your little one’s motor skills develop while improving their spatial awareness. 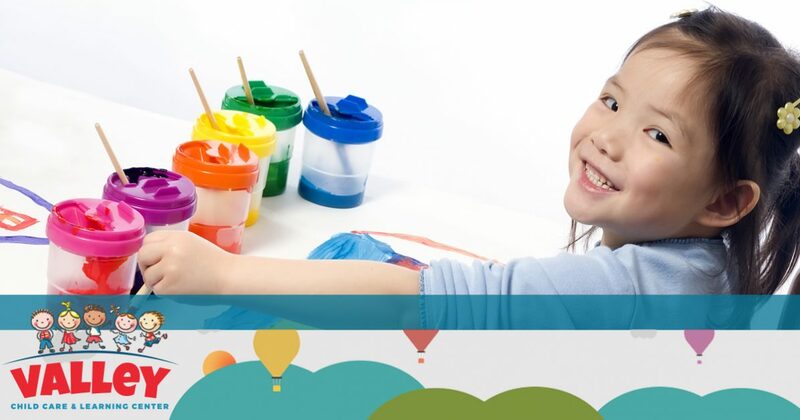 To make fingerpainting even more special for your child, consider joining in on the fun. This practice can help bridge a stable line of communication between you and your youngster, and will make your child feel special knowing that you are interested in spending quality time with them. Similarly to finger painting, completing a puzzle is a great way for your child to develop their motor skills while practicing refining their hand-eye coordination. Not only are puzzles great for stimulating your child’s problem-solving skills, it has been shown that finishing a puzzle, or even putting one puzzle piece in place, can produce a measurable amount of dopamine in the brain. Dopamine is responsible for improving both memory and learning, and can even help to give your little one’s mood a boost during the winter months. By helping your child put a puzzle together, you will not only be spending quality time with your little one, you will also help improve their learning abilities while presenting them with a fun challenge. You can get your child interested in puzzles by providing them with a smaller jigsaw puzzle to begin with. Children love the feeling of successfully completing a project, but by initially giving them a puzzle that is too challenging, they may become discouraged and disinterested. However, by praising your kiddo after they have finished a puzzle, they will be much more excited and enthusiastic to try out more difficult puzzles. If you are having a fun-filled day with your child, there will come a time where your little one may become hungry. Instead of cooking for your child, ask your youngster if they would like to help you cook. Children love feeling like they are helping their parents and feel special knowing that you trust them to help cook a delicious meal. This is a great time for you to teach your child about food and the importance of healthy eating while they learn how multiple ingredients can come together to create a tasty snack. One of the unique aspects of cooking with your child is that they will become more interested in the food you have prepared if they helped cook it with you. By cooking with your little one, you can help them discover new foods that they have never tried, so that they can expand their palate and become more open to trying new things. Though these are just a few fun indoor activities that you can do with your kiddo, the options are truly endless as to how you can effectively stimulate your child’s brain while they are indoors during the colder months. 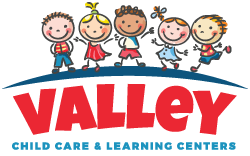 If you are in need of a qualified and professional learning center for your child, please don’t hesitate to learn more about Valley Learning Centers by reaching out to our friendly staff. We look forward to hearing from you!